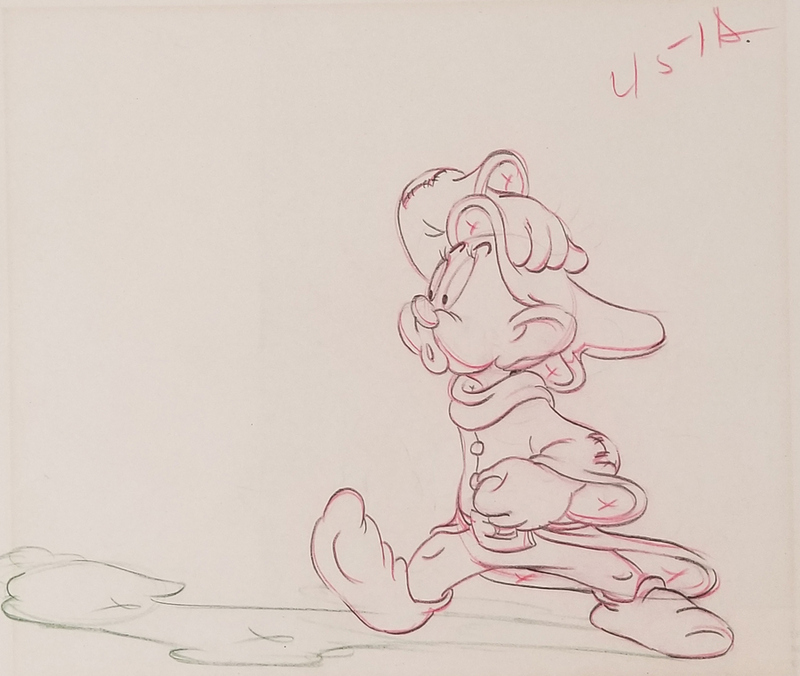 This is an original production drawing from the Walt Disney Studios production Snow White and the Seven Dwarfs (1937). 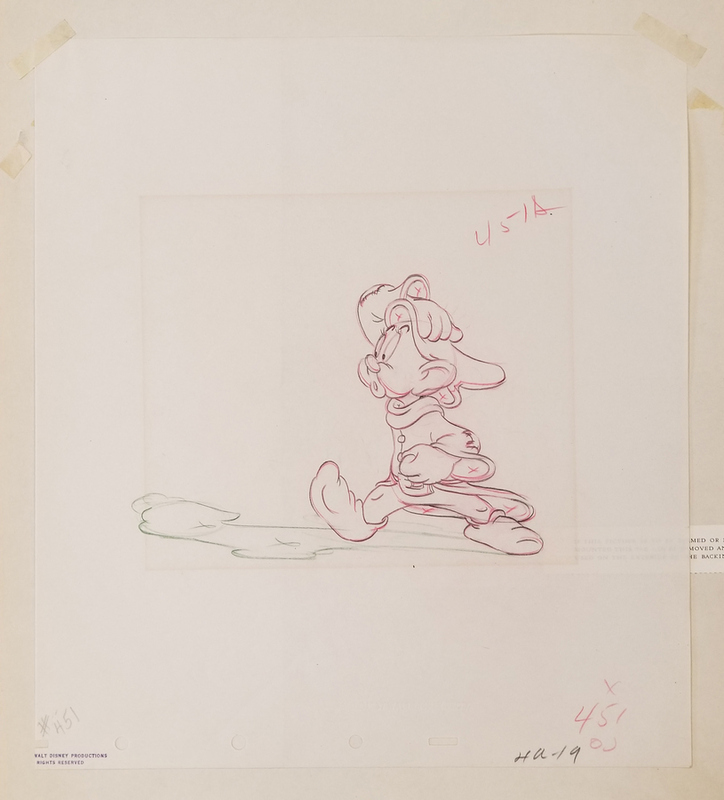 This drawing, which features Dopey, is incredibly rare as it was sold at Courvoisier Galleries, which normally would only sell production cels. The matted piece measures 19" x 14", with the mat opening showcasing 6.25" x 7.25" of the untrimmed 12.5" x 15.5" sheet. The image itself measures 5" x 4". 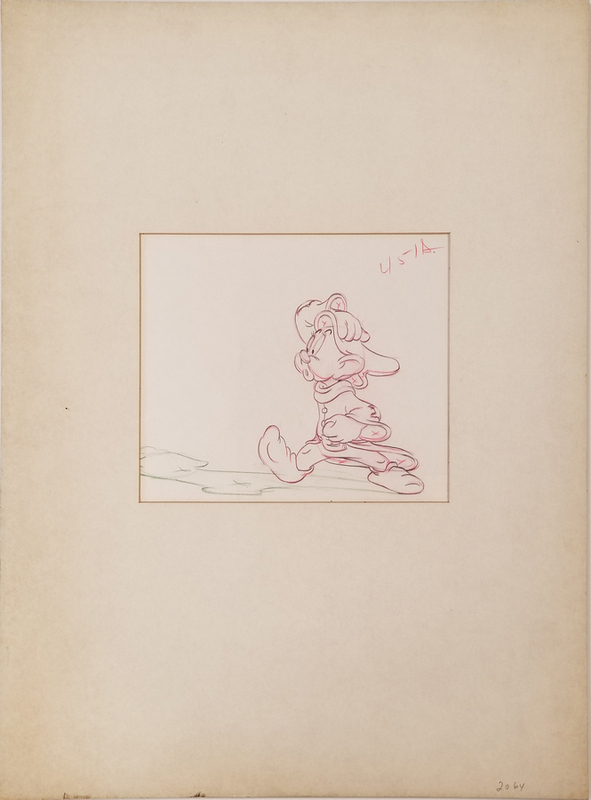 This piece is in very good condition with a vertical crease of the matting setup as well as expected discoloration from age.